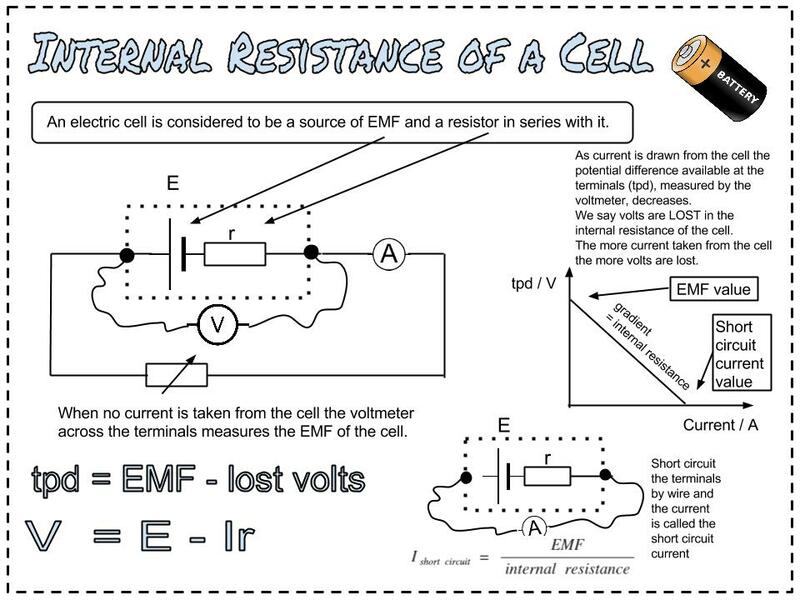 Internal Resistance of an electric cell. In the simulation below it can be seen that when electric current is taken from an electric cell the potential difference between the terminals decreases. When no current is taken the tpd is at its maximum. This is the EMF of the electric cell. The EMF of an electric cell is the maximum energy given to each Coulomb of electric charge. 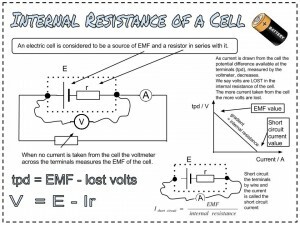 This lost energy per coulomb, usually called "lost volts" is lost in the internal resistance of the electric cell. You can download a poster for your notebook below.